In general, our mobile phones are used for two types of communication: synchronous (talking on the phone) and asynchronous (texting). When talking, you have the benefit of using a certain tone of voice to communicate feelings. But texting lacks such a dimension unless you count emoticons. There is less of a tangible personal connection when using text messages to communicate. Noticing this, Marco Triverio created Feel Me, an app that bridges the gap between synchronous and asynchronous communication. 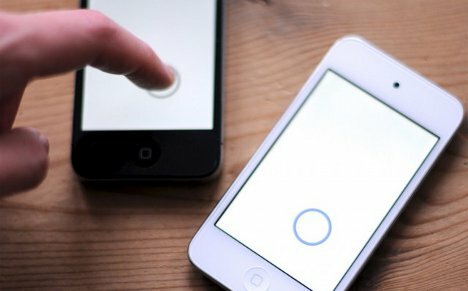 Feel Me uses non-verbal communication through mobile phones in a very immediate way. 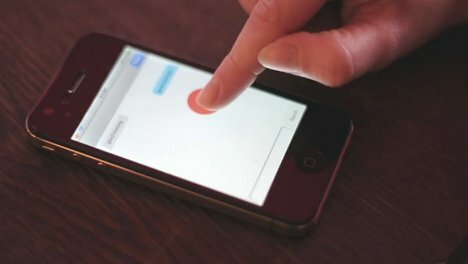 When two users are using the app at the same time, they can each see where the other is touching on their phone at that very moment. It creates a sort of intimate security, letting both people feel connected to one another with a virtual touch. When both users touch exactly the same spot at the same moment, a reaction happens – a vibration, perhaps, or a sound. The feedback reinforces the feeling that the two are connected in some way, even though they may be physically very far apart. There is definitely something to be said for knowing that, even through an impersonal communication method like text messages, you still have a connection with the person on the other end of the conversation. See more in Digital Design or under Technology. May, 2012.